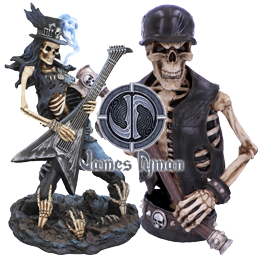 From the enchanted imagination of world-famous Fantasy artist James Ryman, this enchanting Fantasy figurine is exclusively available from Nemesis Now. Rising from the still waters of a mystical lake, this magical lady of Avalon holds aloft a magic sword, chestnut hair blowing in the breeze. Her long white and purple dress billows around her as her bare feet rise above the surface of the water. Around the gold base, a Celtic knot design is interrupted by the legend “Lady of the Lake”. 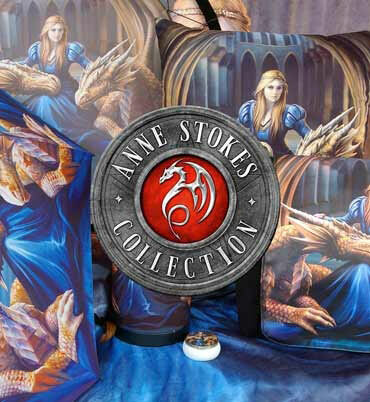 Cast in high-quality resin before being carefully hand-painted, this fantastic Fantasy figurine is a great gift for any lover of Arthurian myth and legend.